I’m starting to like doing the fashion posts. Now, today I wouldn’t post what I am wearing. Worn out knit pants and a grungy t-shirt is just not what people want to see. It seemed like I shouldn’t be wearing a fuzzy skirt after February. I really wanted to wear it this season, so I finally decided to take in the side seams. Lo and behold! I found a similar outfit on Pinterest just before I fixed my skirt! This came from polyvore.com. The polyvore version is $1,893.80! I think my outfit was just a little cheaper. 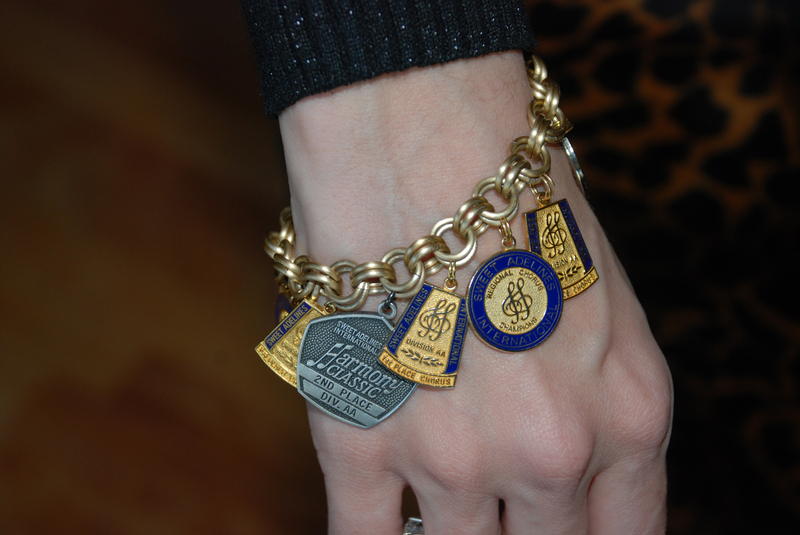 I went with a charm bracelet rather than bangles. Check out that Sweet Adeline hardware!